A Teaspoon of Mustard Cures Muscle Cramps !!! or pain. 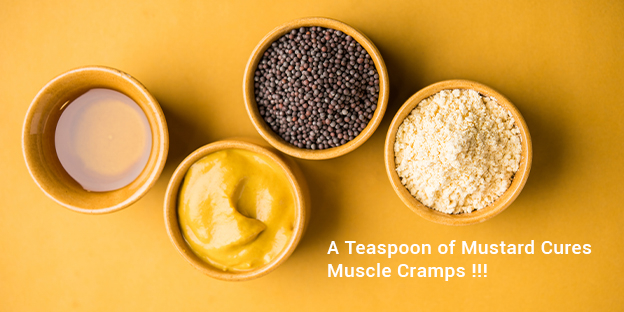 Consuming one or two teaspoon of yellow mustard powder can help in maintaining strong bones, joints and muscles as it is a good source of potassium and calcium. Mustard oil made from yellow mustard seeds helps to get quick relief from any kind of pain, including arthritis pain. India is one of the major mustard manufacturer and supplier of best quality conventional as well as organic varieties of mustard seeds in the world. Many developed countries like Germany, USA, Malaysia etc. import mustard from India. Organic Products India is one of the leading mustard seeds supplier, manufacturer & exporter throughout the world. Organic Products India supplies superior quality mustard seeds that are full of flavour and aroma. The mustard seeds form the cornerstone of French cuisine and dominate Indian and Southern Asian cooking as well. Mustard seeds are available globally in three varieties‐ black, yellow and white. White mustard has a very precise aroma in comparison to the black variety which packs a punch of flavour in food. one of the most versatile spices which one can have in pantry. skin irritation and burning. Black mustard is similar to brown mustard. Black or brown mustard seeds are used in Indian cooking, especially in South Indian cooking. Many curries and vegetables dishes are flavoured with oil tempered with mustard seeds, curry leaves, green chilli’s and asafoetida. the life circle of the nematodes. There are many uses of mustard. Mustard has potential pharmacological effects in various diseases like cardiovascular disease, cancer, and diabetes .While there are very limited clinical trials to support its use for any indication. There have been numerous phytochemical investigations on mustard seeds. However, very few clinical trials exist to support the clinical application of mustard seed oil. Derivatives of allyl isothiocyanate have formed the basis for toxic agents such as mustard gases and antineoplastic drugs. Mustard is also used for getting a relief from soar throat & chest congestion. It is not only used for fighting bad odors, but also to treat fever and flu, calm muscles, get relive from tired feet and treating back pain. The term Chick peas is derived from the French word ‘chiche’ and Latin word ‘cicer’. During 1500 the chickpeas were called as Chiche. The botanical name of Chick peas is ‘Cicer arietinum’. There are mainly 2 types Chickpeas Kabuli Chick peas and Desi chick peas. Kabuli chick peas are generally larger and tan yellow in colour whereas Desi chickpeas are smaller in size comparatively. Chickpeas are high in protein and fibre. It is one of the highest and oldest cultivated legume, as per the chickpeas suppliers in India. Chickpeas are one of the essential ingredients in Indian and Middle eastern cuisines. It is a key ingredient in humus, Chana dal and can be grounded into flour and made into falafel. Chickpea flour can be used in baking and smoothies. 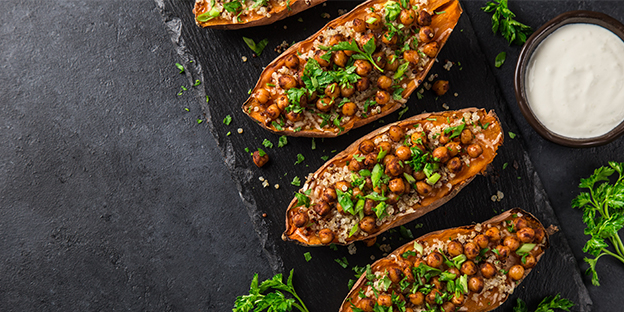 The protein and fibre in chickpea may help keep your appetite under control. Chick peas help to manage blood sugar level. As chick peas are full of fibres and has proven good for digestion and also helps in maintaining weight. Chick peas consist of many minerals like magnesium and potassium which helps in boosting heart health. This is because it controls blood pressure which is one of the risk factor for heart disease. Chickpeas also contain several minerals and vitamins like vitamin B which reduces the risk of lungs and breast cancer. The presence of iron phosphate, calcium, manganese, zinc, and vitamin K in chickpeas all help in maintaining bone strength and bone structure. Chickpeas helps to prevent the problems related to constipation due to presence of high fibres and proteins. Researchers show that including chickpeas in diet lowers the bad cholesterol in the blood. Demand for organic products is increasing as people are getting aware of the problems caused by conventional foods. India is one of the major producers of chickpeas in the world apart from Myanmar, Pakistan, Turkey Ethiopia, and Russia. India is one of the major exporters of organic chickpeas in the world. Many developed countries like Germany, USA, and Netherland import from chickpeas suppliers India. Organic Products India, Veerral agro tech are some of the well-known organic products manufacturers in India and exporters for organic chickpeas with premium quality and good services. By overlooking the health benefits and nutritional value of chickpeas I think we can conclude by calling a Chickpeas as Diet Oriented Food. In the past few years, there has been a steady rise in demand for organic products as it is best suited for health and the environment. With the rise in demand for organic products, many brands have been taking notes from Ayurveda to come up with 100% organic foods. This growing trend of organic products offers a huge growth to the Indian organic industry as this trend is soon to be caught up by India and also offers huge growth to investors in the Organic Industry. Rise in requirement of organic products : Organic products in India is still a new concept. The current market growth is on rise due to increased awareness and benefits to health and the environment. The current market value is at INR4000 Crores and expected to grow to INR10,000-12,000 Crores. The rapid growth rate is also an important factor to attract investors. E-Commerce: With access to the internet getting easier and cheaper, Indian citizens have changed the way they shop. The ease of shopping online with just one click has saved a lot of time for Indian consumers, be it monthly grocery or personal care items. There has been a significant growth in online platforms for organic products manufacturers in India that helps the consumer to choose the best available product for them. Export of organic products in India: India is the second largest exporter of organic products in Asia after China. It is one of the largest turmeric powder manufacturers and psyllium husk exporter in the world. The increase in the export market coupled with the help of the Government’s support has helped India grow in the organic products industry. The estimated value of Indian organic food exports was US$299 million during the year 2015-16 with a total volume of 263,688 MT. The major of exports going to the US, European Union, Canada and New Zealand. Introduction of new variety of organic products: Superfoods were unheard of in Indian diets. However, due to the increase in awareness about the health benefits of organic products has led to the introduction on new organic products. 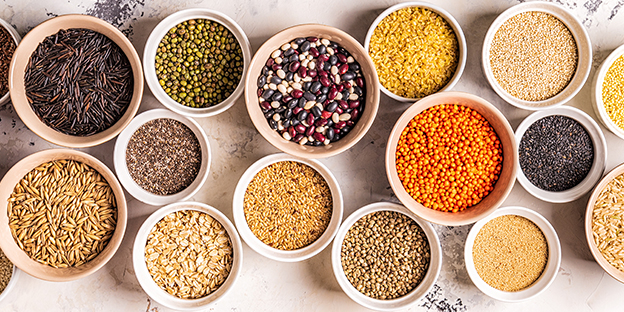 Brands like Organic Products India have already started introducing daily used products in organic variants like spices, flax seeds, amaranth seeds, pulses and lentils etc. for health-conscious consumers. Growing support from Government of India: The government of India has been actively participating in promotion of organic farming and the consumption of organic products. Financial assistance is also provided to farmers who are ready to adopt to organic farming in the country through various schemes such as National Mission for Sustainable Agriculture (NMSA), Mission for Integrated Development of Horticulture (MIDH),etc. The government has also allocated lands specifically reserved for Organic farming in the Northeast Region of India. All of the mentioned factors have been favourable for the Indian Organic Industry. However one must also keep in mind the high production cost and risks of producing organic products which is higher than conventional goods. These products are also subject to higher tax rates which increases the cost of organic products. Cost of organic products has also hampered the sale of these products. Flax seed (Linseed) has a very long and diversified history. It is one of those crops having various benefits in different industries. It is an unknown fact that wild flax was used as a textile in earlier days. The evidence of which can be seen in Dzudzuana Caves Republic of Georgia and are dated to the Upper Paleolithic, 30,000 years ago. The Latin name of the flaxseed is Linum usitatissimum, which means “very useful”. In Egypt, flax textiles were worn by priests and was also a symbol of purity. Come today, flaxseed still dominates households and retail stores owing to the amazing health benefits it offers. Linseed suppliers have thus seen better days, especially since the last few decades. Flax is grown as a seed and flax oil is used in nutritional supplements, wooden Industry for polishing. Flax is grown as an ornament in the garden and as stated it is also used as a textile. Every part of the linseed plant is utilized commercially, either directly or after processing. Flax fibre is extracted from the skin of the plant. Flax plant consists of 75% leaves and 25% stem. Flax fibres are stronger than cotton fibre but less elastic. Flaxseed is available in 2 variants brown and yellow flax seed. Both have similar nutritional value. Flaxseed is one of the richest plant sources of the ω-3 fatty acid i.e. α-linoleic acid (ALA) (Gebauer et al. 2006; Tonon et al. 2011) and lignin (phytoestrogens) (Singh et al. 2011). The important flaxseed growing countries are Canada, China, United States, India and Ethiopia. 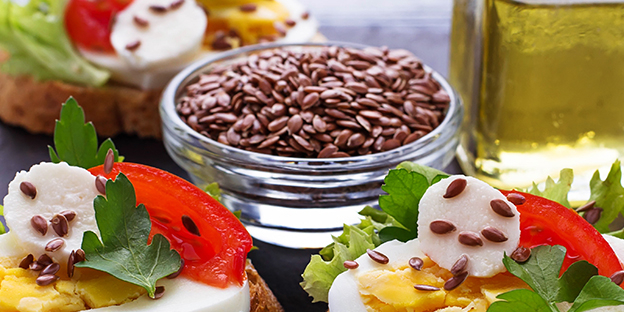 Apart from textile, flaxseed has its own importance in nutraceuticals and medical Industry. The lignans in flaxseed may help it protect against a variety of cancers, especially if consumed for life as a part of a healthful diet and lifestyle. The lignin and other phytoestrogens are thought to help reduce the risk of chronic diseases, such as diabetes, because of an anti-inflammatory effect. Flax seed helps in lowering cholesterol level and rate of heart disease. The fibre, phytosterols, and omega-3 content of flaxseed may help boost heart health. The lignans it contains may help protect against cardiovascular and other chronic diseases. To conclude with flax can be called as optimum utilized crop or an all-rounder crop which can be used in almost all the Industries. In coming days it will be one of the most important crops on the earth. The Plantago ovate commonly named as Isabgol/Psyllium in India. The Isap and Ghol mean ear of the horse, which show the shape of the seeds. As this tiny pale brown colour seed are very popular across all countries today & which has almost 200 species. The origination from the Mediterranean region and West Asia extending up to Sutlej. Also distributed from the Canary Islands across Southern Spain, North Africa, the Middle East and North-Western Asia. India has tradition old use of Psyllium Seeds in its Ayurveda for medicine. Psyllium Seeds are mostly cultivated in the North Gujarat, Western Rajasthan. India is the largest grower & exporter of Psyllium Seeds on the planet. 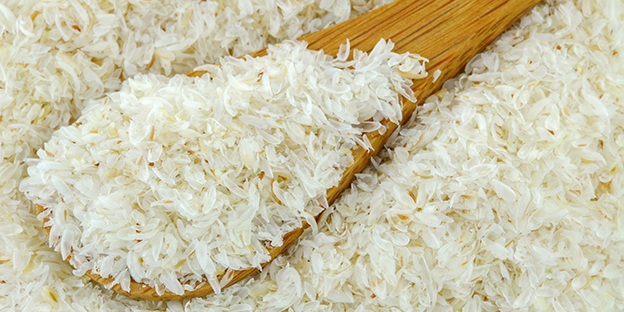 Due to various health benefits of psyllium seeds and husk, it’s popularity has kept growing over the years. The world market for Psyllium Production and export of Psyllium Seeds, Psyllium Husk and Psyllium Powder is dominated by India exporters. Psyllium Plant takes nearly 119 to 130 days and requires a cool and dry climate for a yield. Psyllium is a Rabi crop and grows from Feb to March. The plant grows in light-sandy, medium-loamy and heavy-clay soils with a low nutrient requirement. For better yield soil must have a pH level of 7.3 to 8.4. The Psyllium plant flower spikes turn reddish brown when ripening, the lower leaves get dry and the upper leaves turn yellow. The crop is only harvested in the morning time after the dew is gone to minimize shattering and field losses. The seeds are separated from the raw harvested spikes by threshing, winnowing and sieving. India dominates the complete world market in the production of Psyllium Seeds, Psyllium Husk and Psyllium Powder. India offers nearly 80% of Psyllium in the global market. The factories of Psyllium Seeds exporters are located in Unjha, Gujarat in India. The main exporting market for Psyllium Seeds, Husk and Powder are the USA, Germany, Italy, UK, France, Australia and Gulf countries. The major Psyllium Seeds, Husk and Powder are exported to the USA i.e. 60% of the world demand and followed by EU market 25% and domestic market 15%. Gujarat and Rajasthan are major states for exporting Psyllium Seeds from India. were Gujarat contributes more than 35% of world production of Psyllium Husk and Powder. As a leading supplier and processor of psyllium seeds, husk and psyllium powder we understand the importance of quality to health-conscious customer buying our product and we take utmost efforts to follow necessary food safety standard at Organic Products India. We are a government recognised Export house. Our factory is located in Unjha, Gujarat in India. 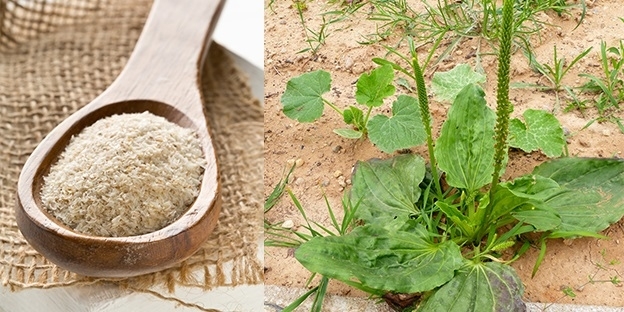 We offer Organic Psyllium Seeds, Organic Psyllium Husk, Organic Psyllium Powder, Conventional Psyllium Seeds, Conventional Psyllium Husk, and Conventional Psyllium Powder with different purities starting from 70% to 99%. We majorly export to the USA, EU market and the Middle East. Please contact for your business enquiry on info@viralspices.com. Isabgol Production Declines – Demand Continues Strong! The Psyllium Husk or Isabgol is a very popular product across the globe today. Considering the health benefits the product offers it has varied uses in the Pharmaceutical industry, Food industry, Animal feed industry as well the health industry. The benefits are very much discussed in the previous blog on Psyllium Health benefits. The versatility of this crop has made Psyllium husk a product with high demand today. According to DGFT data, India exported 29,343 tonnes of isabgol in 2011-12; 32,465 tonnes in 2013-14; and 32,325 tonnes in 2014-15. 2013-14 marked the highest export of Isabgol from India, when the production area was around 10,000 hectares. However, after this year the main Isabgol producing states in India have reported a decline in the production area. Psyllium is produced in India in the dry drought-prone states of Gujarat & Rajasthan. The Isabgol production completely depends on the water availability & requires 3 -4 cycles of water to grow. Psyllium being a Rabi crop (winter crop), there is a climatic risk due to mid-season rains which can also damage the crop. Since past few years, India is experiencing low rainfall & less availability of water in these states, which has prompted for less production for Psyllium as the farmers are not willing to prefer this over other crops. Also, 2018-19 has not been as much a good year considering the pricing front; the farmers hardly got any profits as the production was increasing in the previous years & this resulted in the increased competition which kept the prices steady. India is the largest exporter of Psyllium all over the globe & has a huge market in the USA, China, Japan & Australia. The Indian Psyllium Husk exporters are now worried as the price for the product is likely to go high & there will be fierce competition fetching those low profits so as to retain the customers. The market is likely to suffer 2000 crore revenue loss for the year 2019-20 which is 20-30% loss. Gujarat has been showing a constant decline in the Psyllium production, however, what is worrisome is that Rajasthan- which was the second largest producer of Psyllium in India has shown a sudden decline in the Psyllium Husk production this year as reported by the Psyllium Husk manufacturers in India. There are a lot of factors responsible in the production decline for the crop, but the main factors being the risk involved in the production process due to mid-season rains, high water requirement for production, reducing profit margins in the past few years. The government want farmers & the manufacturers of the product to stick to innovative ideas to increase the production as well as discover innovative ways of utilising the product so as to get more benefits in terms of the revenue. However, as per the Psyllium Husk Manufacturers in India, the cost involved in the innovation process is very high. The farmer groups are already stressed with the uneven rainfall in the region & do not have enough resources to spend on R & D facilities required to facilitate any change. This refrains the Indian Psyllium Husk producers from the creation of new ideas. Slowly but gradually the Indian market is moving towards this step to grow their global presence & a lot of Organic products manufacturers & farming groups have come together to help them grow the production of this product along with the various government initiatives. Nonetheless, there still will be lesser Psyllium Husk production for the year 2019-20 until we discover some effective manufacturing techniques & innovative products in the meanwhile. The demand being ever increasing for Psyllium products, hopefully, India will have better production for the coming years! From curries to salad dressings, and teas to soups, turmeric has been there and done that! It’s probably the only spice after salt and pepper, to be used in almost every other food preparation, hot or cold, cooked or uncooked. In India, turmeric is also used heavily in worship rituals and ceremonies. The exotic ‘golden milk latte’ is also a traditional Indian concoction of turmeric, ginger, cinnamon, honey, and milk. The exact origin of turmeric is not known but it is believed to be native to Southern India and Indonesia. The earliest mention of turmeric goes back to 5000 years in the Vedas. 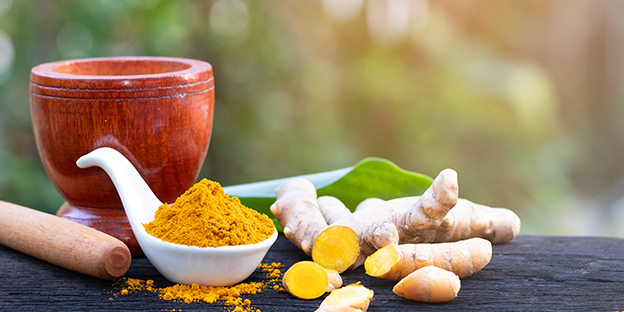 Turmeric not only has a permanent space on the kitchen shelf but is also an important coloring agent in the fabric industry and a pharmaceutical ingredient in the Ayurveda. As such, with the growing awareness and demand of this golden herb, this seems like a promising period for the turmeric powder manufacturers especially in India. Turmeric is a close relative of the ginger plant. It is a produce of Curcuma longa, a rhizomatous herbaceous perennial plant belonging to the ginger family Zingiberaceae, native to tropical South Asia. There are around 133 known species of Curcuma which have been identified worldwide. They are commonly found in the form of turmeric fingers and powder. Most of them are known by their local names and used for various medicinal formulations. The turmeric plant needs temperatures between 20°C and 30°C and a substantial amount of annual rainfall to thrive. Turmeric began to dominate as an important ingredient in medicine and was extensively used in Ayurvedic healing around 500 B.C. The antibiotic properties of this spice were mostly employed in the purification of blood and skin. It was also used to treat tough conditions as diverse as epilepsy, diarrhea, and urinary infections. Turmeric pastes are even today used to alleviate skin conditions like eczema, ringworm, and other parasitic skin conditions. The first medicinal powder that is applied to disinfect and stop the blood flow from a fresh wound is turmeric. In day to day life, powdered turmeric is frequently used as an insect repellant. A popular remedy of milk simmered with turmeric and sugar is used to cure a cold and cough. According to research, Curcumin or diferuloyl methane, an active ingredient in Turmeric, is shown to have anti-cancer effects on cancer/tumour cells. In a Phase-I Clinical Trial conducted some time back by a medical institute, Curcumin was administered to 25 patients with precancerous changes in different organs. This experiment seemed to suggest that Curcumin could stop the “pre-cancerous changes” from becoming Cancer. Today, India has emerged the largest producer, consumer and exporter of turmeric in the world. Indian turmeric is considered to be the best in the world market because of its high curcumin content. In fact, India accounts for about 80% of turmeric production and 60% of exports in the world, with Asian countries consuming much of their turmeric production. As such, one of the leading organic product manufacturers in India is Organic Products India. They are well known as global spices exporter in Europe, USA, Middle-East, China, etc. From an ancient south Asian herb to one of the most sought after spice in the world today, turmeric has come a long way. No wonder then, it is the gold among spices! “Amaranth” the word is derived from the Greek word “amranthos” which means ‘unfading’ and “anthos” which mean flower. The ancient history of Amaranth can be traced out Mexico, Peru and Yucatan Peninsula, Cultivated 8000 years ago and still its one of the highly consumable crop. Now it’s grown in India, Africa, North America, China and few countries in the world. Amaranth is known as pseudo-cereal because of its nutritional value. The most important aspects of these tiny seeds are they are gluten-free. Like quinoa, amaranth is not technically a grain but is the seed of the amaranth plant. One plant can produce up to 60,000 seeds. Amaranth takes little water to grow and can produce seeds even if experiencing 40 days without rain. This tiny seed has a high content of protein, iron, calcium, and phosphorus than vegetables. The surprising factor is 1cup of Amaranth contains approximately 28.1gms of protein whereas rice contains only 13.1gms of protein. Amaranth lives up to its reputation remaining a beautiful bright gold, purple and red even after harvest. The demand for Organic Amaranth seed (Indian Origin) is increasing in many developed nations and developing nations. Due to its high nutritive value, many researches are going on in many pharmaceutical laboratories. In abroad countries, Amaranth is consumed in the form of Pop, mixed with some other ingredients people have it for breakfast as diet food or staple food. Amaranth is rich in calcium: The calcium present in Amaranth helps the bone to cure the bone problems caused during accidents, injuries. It is very important to include a high calcium food in the diet as it reduces the chances of developing osteoporosis, Dowager’s hump. Amaranth helps in preventing Diabetes: With just a cup of amaranth providing over 100 the daily recommended dose of manganese, it serves as diabetes preventer. It also helps us to reduce high blood sugar level. Amaranth helps in lowering cholesterol levels: The oils and phytosterols in amaranth help lower cholesterol levels, including LDL and triglycerides. The anti-inflammatory properties of peptides and oils in amaranth can ease pain and reduce inflammation. This is especially important for chronic conditions where inflammation erodes your health, such as diabetes, heart disease, and stroke. Consumption of Amaranth prevents cancer. Amaranth is a high fibre food: This makes it filling and means it aids digestive health, cholesterol, blood pressure, and slows the absorption of sugars to let the body keep up with energy production. Amaranth helps prevent premature greying, mainly due to the minerals this seed has in abundance. Organic Amaranth is been exported from many other countries like Russia, Australia, European countries like France, UK and Croatia and many other countries due to its high nutrient value health benefits. To conclude with, it would not be wrong to call Amaranth a Superfood. Organic Sesame (Botanical name Sesamum indicum) is also known as Benne (Till in India). The word Organic Sesame is derived from an Arabic word semsem. In Latin, it is called sesamum in Greek sēsamon. The generalised meaning of all these words is oil, liquid fat. Organic Sesame is widely cultured in tropical parts of Africa and Asia. India, Myanmar, Tanzania, Sudan are some of the largest producers of Organic Sesame. According to 2016 UN Food and Agriculture Organization Corporate Statistical Database around 80% of organic Sesame seeds are cultivated in the monsoon season in India. Organic Sesame has one of the highest oil contents seed with rich nutritive quality and high stability. Due to the presence of potent antioxidant, organic sesame seeds are known as “the seed of immortality”. There are 3 types of organic sesame seeds i.e. Natural Organic Sesame, Organic Hulled Sesame and Organic Black Sesame. The whole seeds are usually used in Cosmetics, Pharmaceutical and food industries. In the form of oil or flavouring agent or as an ingredient to medicines. Healthy Uses of Organic Sesame: Organic sesame oil is called as queen of oils because of its high nutritive value. Hulled organic sesame is used in Hamburger. Roasted natural organic sesame is used in bakeries for preparation of breads, cookies and chocolates etc. Hulled organic sesame is used in preparation of Tahini in Middle East countries. As sesame oil is known for its antioxidant properties contributes in Food industry to increase the shelf life of the products. By-product (De-oiled seed) is used in poultry and for cattle feeds. Medicinal & Pharmaceutical Uses: The anti-oxidants present in organic sesame acts as a defence against the reactive oxygen spices (ROS). ROS are produced by UV light and cause damage to the skin such as wrinkles, sunburns and skin cancer. Application of organic sesame oil with Turmeric and milk on facial skin removes pimples and impurities or dust on the skin. Many pharmaceutical and nutraceuticals industries are developing medicines from sesame. 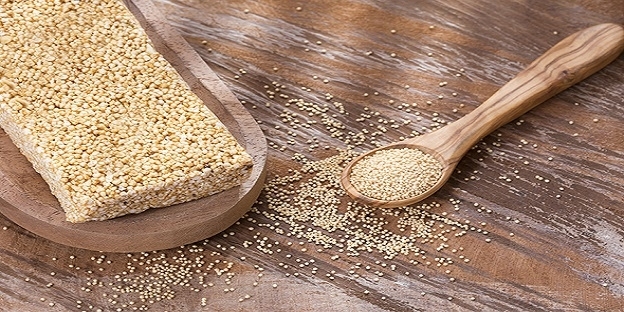 Consumption of sesame increases Vitamin E which prevent cancer and heart diseases. Sesame oil is used in developing solvent and drugs for intramuscular injections, tooth ace. Sesame oil is used as mouth wash because of its antibacterial property, to reduce insomnia. Demand for Organic products is increasing as people are getting aware of the problems caused my Conventional foods. India is one of the major exporters of best quality organic sesame in the world. Many developed countries like Germany, Canada, USA, Netherland import organic sesame from India. According to the Indian Oilseeds & Produce Export Promotion Council (IOPEPC), China and EU are among the most important world markets for oilseeds. Despite India being one of the largest exporters for sesame seeds, its exports to China is minimal. The overall imports of sesame seed into China is about 800,000–850,000 tonne and India’s share during 2017-18 was only 6,199 tonne. Overall imports of groundnuts by EU are about 8 lakh tonne, with India exporting only 15,000 tonnes. This not only shows the export result but also the demand for organic sesame in foreign countries. India is one of the major producers of sesame, which has high nutritive and antioxidant qualities. The crop is rich in macro and micro nutritive values including proteins, nutrition, vitamins, calcium, phosphorus. As analysed by many research institute sesame oil can be used as a substitute for olive oil and the by-products can be used as a supplement for protein food. If Sesame oil is blended with some nutritional oils like soya or rice can be a great advantage with respect to nutritional aspects. 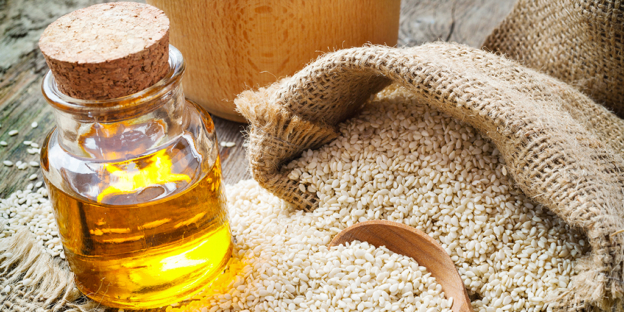 Consumption of sesame oil can decrease neurological, Dermatological, cardiac problems. Soybean Protein the Richest plant source in the world. It is the highest sources of Protein which contains 43%. Soya Protein is highest quality as compare to other legumes. As per the World Health Organisation soy protein is at number 1 and which as equal to milk protein and meat. Soybean contains low calories, fats and carbohydrates and free from cholesterol. It’s rich sources of dietary fiber and fatty acids. To prevent from diseases and other disorder humans consume soybean in there regular diet. It helps to fight against cancer, menopause and cardiovascular diseases. It also helps to increase the bone strength. Soybean is so useful that it also helps to get different by-products like Soya milk, soya oil, Soya chunks, Soya granules, soya tofu, soya flour, soya meal and Soya cake. The top largest producer of soybean across the globe are USA with 108.0 million MT, Brazil with 86.8 million MT, Argentina with 53.4 million MT, China with 12.2 million MT and India with 10.5 million MT. The isoflavones is the compound present in Soybean which is the richest sources of protein. Which help to increase the strength of bones and prevent bone loss. This is becoming more important among women’s for pre menopause stage and women who are experiencing bone density loss. A positive change in Women’s is experience if the intake of soybean is taken on daily basis. Cancer contains agent known as anticarcinogens which is very important content in soybean which help to lower the chances of cancer. As per National Cancer Institute of US, south Asian countries which majorly have soybean in there diet have very less chances for cancer. Regular consumption of Soybean protect hormone and Non Hormone related Cancer as per experimental studies. Soybean protein aids in regulating the menstrual cycle and in turn, lowers the risk of breast cancer in women. Vegetable Protein helps humans to control the cholesterol level and protect them from cardiovascular disease just by shifting from animal protein to soybean protein. Researchers have shown that humans replacing animal protein with soya protein is not impacting the HDL Level. Intake of soy protein improves cardiovascular health and also other intakes like Polyunsaturated Fats, Fiber, minerals and Vitamins which are present. Due to high consumption of soybean protein in human diet it improves metabolism and also positive effect on overall weight. Due to low fat soy diet lowers BMI and improves Lipid profile. It helps to lose body fat and retain the muscle which is also a good way to deal with excessive weight and obesity. Consumption of SoyBean: It is a legume and it can be consumed through different ways like as below. Green Soybean is also known as edamame which can be eaten in salads. People also eat the sprouted beans seeds as a daily antioxidant. If the soybean seeds are germinated then it actually increases the level of isoflavones in soya which good for human health. Soy Milk is a great substitute for cow milk. As per the researcher soy milk reduces the risk of prostate cancer. Mens who consume soy milk on regular basis which lower the chances of getting the prostate cancer. Soya milk is very good sources of phytoestrogen. 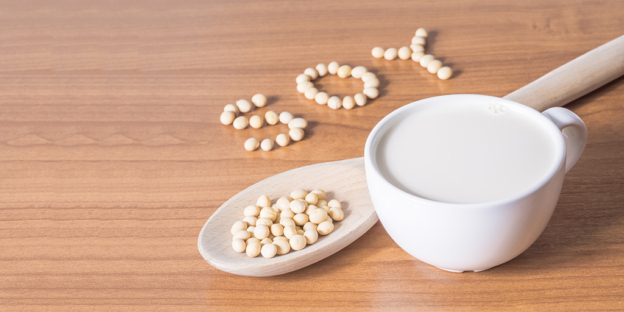 Soyamilk is made from Soyabean by soaking, grinding and straining the seeds. Soybean is fermented to get by-products like Tofu and Miso. Tofu is made from fermented soy milk and is also called bean curd. Miso is made from fermented soybean paste. Both the by-products are excellent sources of the antioxidant soy isoflavones. Miso is sweet salty intaste and majorly agent in flavouring Asian food. Soybean Oil is a healthier option which is low in trans fat. Soy oil is rich in monounsaturated fats and polyunsaturated fats. Soybean oil can be used daily consumption to add dietary fatty acids that does not impact the health. Pune - 411037, Maharashtra, India. Copyright © 2019 Organic Products India. All Rights Reserved.